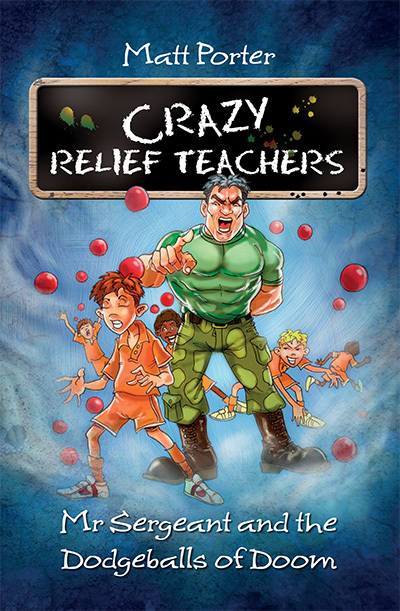 Welcome to the first book in the CRT: Crazy Relief Teachers series. Grade Six B are under the instruction of the camoflague-wearing, mad military man, Mr Sergeant. He looks like an army sergeant. He acts like an army sergeant. And he’s treating the upcoming Dodgeball Challenge versus the dads like a WAR! Will Blocker Radley and the dads defeat Grade Six B? Will Grade Six B survive Mr Sergeant’s crazy training program? Will Pete overcome his habit of breaking into rap under pressure? 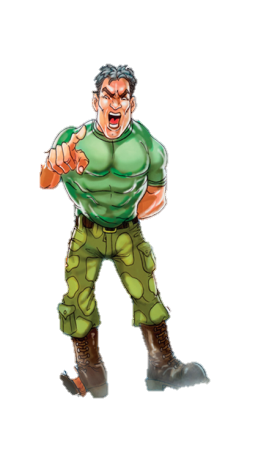 Click on Mr Sergeant if you dare!